Discover majestic Nepal on your free days from volunteering works. Behold the cultural richness and beauty or if you want to go beyond the limits then be a part of remarkably adventurous trek of Mt. Everest, Annapurna circuit, Langtang Circuit and other Himalayan trails. Breathtaking view of Himalayan peaks, green hills and low lands with green vegetation with magnificent historical sites of Kathmandu including UNESCO world heritage sites. Nepal can be a good destination to have the glimpse of a lifetime. This land of jungles on eternal snow has developed according to its own rich traditions and beliefs. Those who come here are rewarded by an overwhelming mountain world on an abundance of glorious nature and people in this region are the most welcoming you’ve ever met. 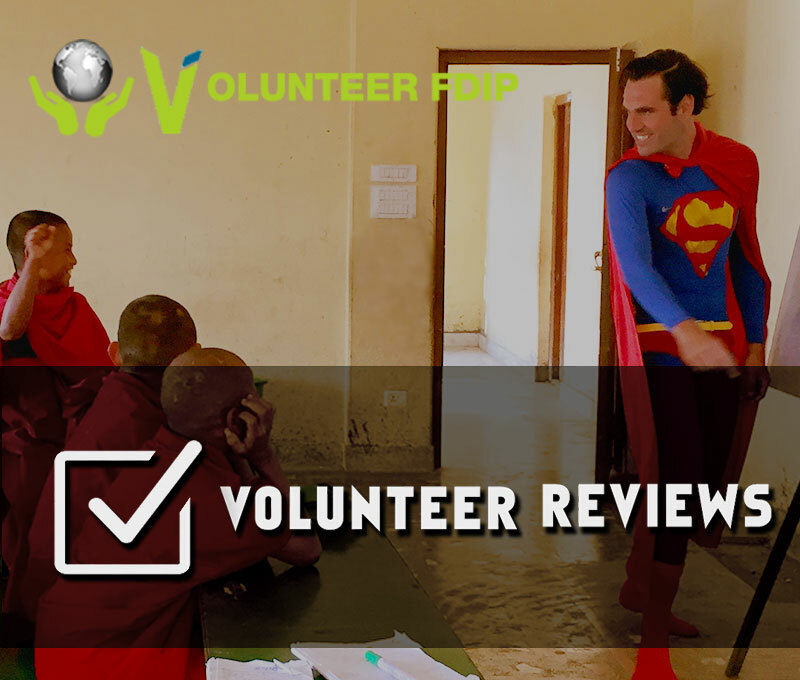 FDIP suggests volunteers to enjoy this incredible travel experience utilizing the free time of projects. Kathmandu is a metropolis in the heart of Nepal, a city with snow covered mountains inhabited by the gods. This home of the gods is vibrant yet reflective. In the center of the city is the ancient palace of Hanuman Dhoka of Basantapur Durbar ( palace ) Square. Kumari chowk is the residence of the living goddess Kumari. This majestic city has a lot to offer the visitors, full of Nepalese tradition and culture there is much activities in narrow alleys of this old town. The city is believed to be blessed with the god and goddess inhabiting in holy Pashupati Nath , Swayambhu and Bodhanath . The holy Bagmati river separates Kathmandu from Patan, another historic city in the valley. Patan has retained its original character , thanks to it’s more than 300 monasteries and temples. Patan is one of the oldest settlements in Kathmandu valley. Patan Durbar (palace ) Square is another spectacular display of ancient architecture. Bhaktapur is the third ancient regal city of the Kathmandu valley. On the edge of Bhaktapur Durbar Square is the palace of fifty five windows , a masterpiece of traditional woodcarving. Pagoda temples, palaces, memorial pillars and alleys with typical Newari style always attracts visitors toward this medieval city. Complemented by various wildlife such as one horned rhino, asian elephant, tiger and crocs inhabiting at UNESCO registered National Park, Chitwan is an ultimate destination for short term and long term safari. Located at mid tropical jungle this national park was founded as reservation for threatened rhinoceros. True adventure is a safari by elephant. Mahouts skillfully lead the ambling giant through the bush. Elephant is a safe means of transport in jungles here. Today the national park is the biggest tourist attraction. Jeep safaris are particularly useful features of the park. They travel through dense forest in which there are around 550 species of birds. Tracing the track of wild animals in this safari is a lookout for species. Travelling by boat in Narayani and Rapti river can get you a chance to spot crocodiles and dolphins. Volunteers can enjoy this experience along with traditional Tharu community. Beneath the shadow of Annapurna mountain range, Pokhara is a city blessed with natural beauty. At one time this high valley contained 7 fresh water lakes named Pokhari and this gave this paradise it’s present name. Both hindu and Buddhist faces exist side by side. Pokhara is located at the center of Nepal and its tranquil calm is captivating. Has much to discover here. The davis waterfall disappears into the ground and after 200 meters emerges again to unite with seti river. This impressive natural spectacle is very popular among sightseers. The second largest lake of the Nepal, magnificent Fewa Lake with silhouette of Machapuchre (Fishtail) peak is center of attraction of the city. Small rowing boats in the lake and colorful gliders up in the sky, this lake appears to be core of the energy that is usually seen in the faces of people and tourists. Besides Fewa Lake there are other lakes like Beganas and Rupa with dramatic vista. Paragliding above the villages of Kaski from the top of Sarangkot, bungee jumping at Hemjaa, Canoeing amd Zip line adventure Pokhara has a lot to offer who loves adrenaline rush. Visiting Buddhist shrine Shanti stupa and hindu pilgrimages uniquely located at the center of lakes and beneath the caves can be mesmerizing moment. From snowcap peaks to tropical forests, Nepal is any travelers dream. With something for everyone, offering a guaranteed adrenaline rush, whatever your fancy may be Nepal is a perfect backdrop for an Adventure trip and expedition. Whether you are a fanatic or simply wanting to take in the magnificent sight and sounds, you will be constantly amazed by the country’s natural beauty. Whitewater rafting: White water Rivers emerged from mighty Himalayan and flowing downwards to the south have tremendous speed and current and some of them attract the water runners around the world. Rivers like Trishuli, Seti and Bhotekoshi provides excellent opportunity to jump with the tides and flow with current with the best possible rafting and kayaking . Bungee Jumping: Experience the thrill of jumping from hundreds of meter high hills and challenge the gravity with a scream of excitement. This is a perfect adventure experience to check one of your bucket lists. In Nepal you are offered Bungee Jumping in Bhotekoshi of Sindhupalchwok and Hemjaa of Pokhara. Paragliding: Get a bird eye view of city, lakes, villages and hills of Kaski district while paragliding right above the mighty sky of Pokhara. It will be an extraordinary experience of roaming around, just beside the silhouette of Himalayan Mountains. In the heart of the Himalayas, discover the hidden world of snow and mountains. Walk up to the glaciers, pass through wilderness of the tropical forests and reach to the base camps of the world’s highest mountains. It is going to be an intense and exhausting experience. So if you are ready to experience the altitude difference and check another bucket list then Himalayan mountains are waiting for you. Right now FDIP offers you following trekking programs. For more details on trekking programs please contact our program co-ordinator.